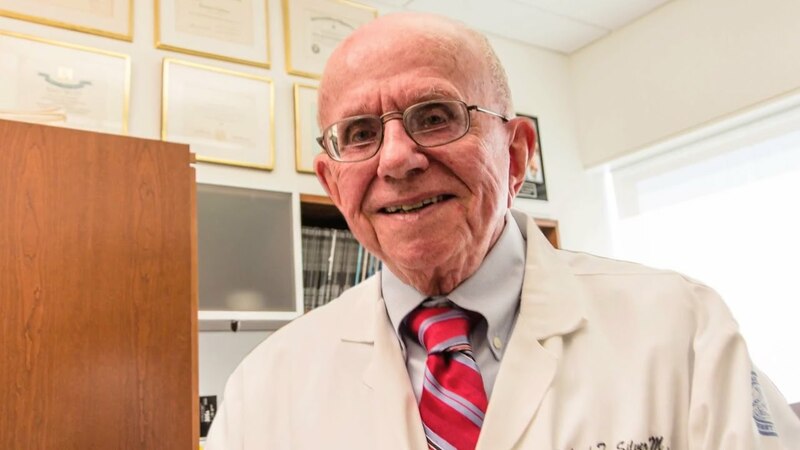 The Richard T. Silver, M.D. Myeloproliferative Neoplasms (MPN) Center is a multidisciplinary center of excellence dedicated to patient care, research, and education in all facets of these diseases. It is based at Weill Cornell Medicine the entity that includes Weill Cornell Medical College and the New York-Presbyterian Hospital/Weill Cornell Medical Center in New York City. The MPNs are a related group of blood stem cell disorders, most commonly polycythemia vera, essential thrombocythemia, primary myelofibrosis, myeloid metaplasia, and chronic myelogenous leukemia (CML), but also including chronic eosinophilias (hypereosinophilic syndromes), mast cell disorders (systemic mastocytosis), chronic neutrophilic leukemia, overlap states between MPNs and myelodysplastic syndrome (MDS), and not infrequently currently unclassifiable MPNs. We provide multidisciplinary expertise in making a correct diagnosis, with continuous follow-up reassessment, using the most advanced clinical, hematopathological, molecular, imaging, immunological, and genetic tools available for personalized medicine; therefore, we also welcome patients referred for difficult diagnostic problems involving conditions like chronic states of thrombocytosis, erythrocytosis, eosinophilia, or myelofibrosis that may or may not prove to be caused by a myeloproliferative neoplasm. We have the availability of cutting-edge therapeutic modalities for the MPNs, including access to the most promising clinical trials in the world. Care of individual patients is provided personally by established, internationally recognized experts in the field of MPNs. 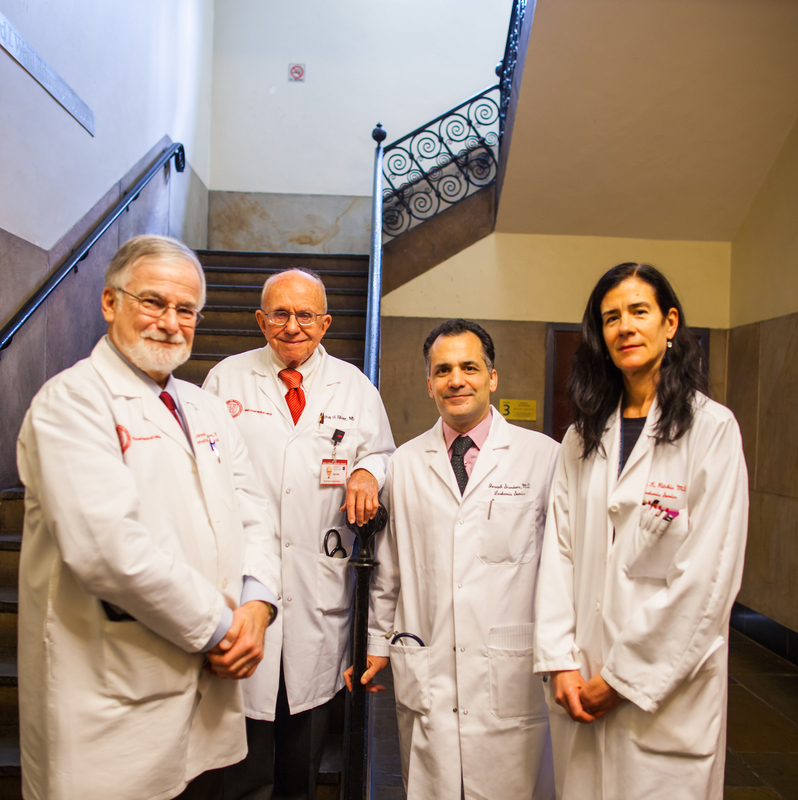 While the primary clinical focus is on diagnosis and treatment of the MPNs themselves, we have developed a close network of expert clinician consultants in a wide range of specialties at Weill Cornell Medicine and the New York-Presbyterian/Weill Cornell Medical Center in order to provide our patients with truly comprehensive and integrated care; this includes immediate and coordinated access to experts in areas like cardiovascular medicine, interventional radiology, vascular surgery, rheumatology, dermatology, high-risk obstetrics, pediatrics, pulmonary medicine, neurology, etc. to prevent and manage complications of the MPNs. Our personal working relationships with these expert consultants and our shared electronic medical record system assure ready access and seamless care. In case a specific area of clinical expertise is not available on site, we personally connect patients to fill those gaps with the best specialists in the country, many of whom are known to us as professional colleagues. An overarching philosophy of the Richard T. Silver MPN Center is that its patient care mission cannot be independent of its educational and research missions. We proactively provide numerous educational opportunities to students, other trainees, physicians and scientists involved in MPNs locally, nationally, and internationally. Most importantly, we educate patients individually and provide educational forums for patient interest and patient advocacy groups in the MPNs. The Richard T. Silver MPN Center is also committed to research and discovery to better understand the cause of the MPNs, their basic mechanisms of disease progression, and their complications. To that end, we have a growing program in original research in the area of MPNs. The Center’s research activities in this field range from basic laboratory investigation to patient-oriented research and clinical trials to outcomes measurements, with our work funded by federal and foundation grants as well as industry. Maria T. De Sancho, M.D., M.Sc. Joseph Michael Scandura, M.D., Ph.D.
Koen van Besien, M.D., Ph.D.